Looking for the darkest of dark black holos? Look no further! 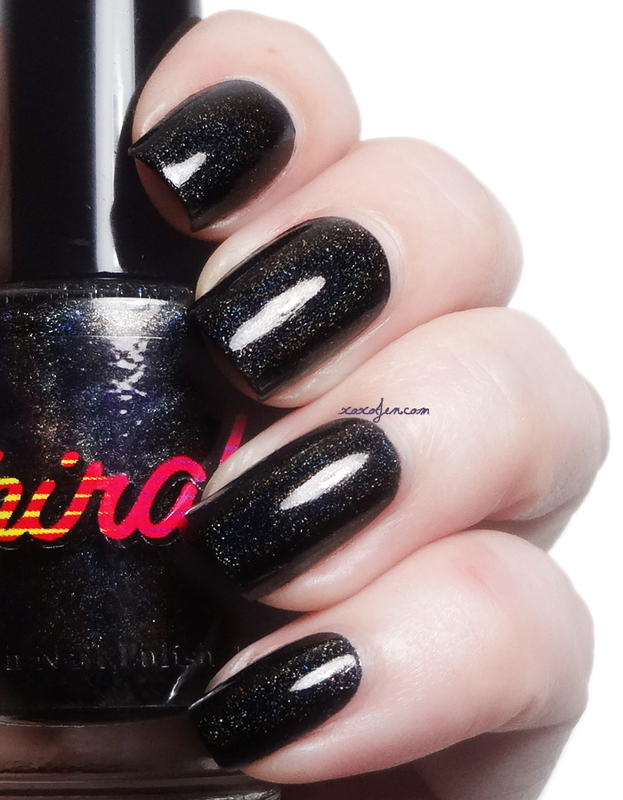 Chirality's Soska is super dark and has a strong linear holo effect. I received this polish from my wishlist as a birthday gift in 2014. Since I'm The Queen Procrastinator um, busy (we'll go with that!) I had not yet shared the images with you guys. It was dreamy to apply, fairly opaque in one coat but I like to use two for good measure. I've been loving dark shades as fall sets in this year and Chirality's webshop has a lot of those to offer! I'm eyeballing a few the Ghosts of Chirality Collection, how about you?